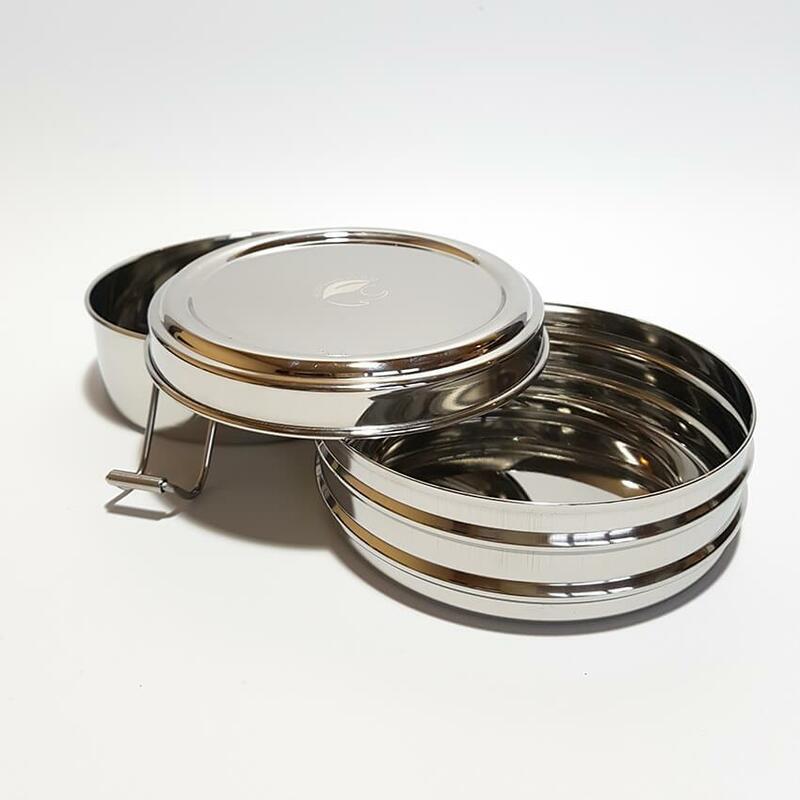 Round lunch box made from tough 304 stainless which is a great food container for salads and pasta, sushi or mini sandwiches. 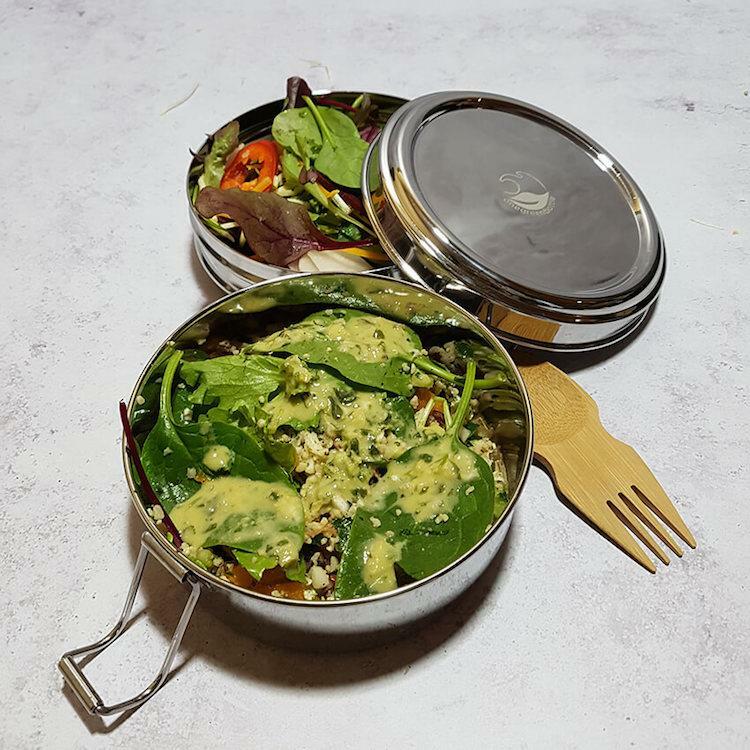 This eco lunch box has a compact size making it great for taking to school, university, office or hiking. Overall Dimensions – 800 ml / 8 x 13 cm dia.